This is the catalog of the first ever traveling paperweight exhibition. 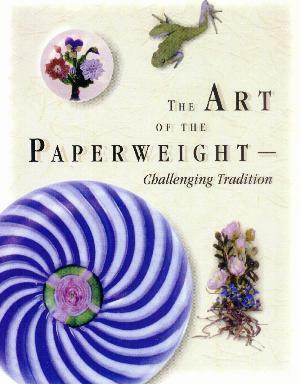 Curated by Larry Selman, the exhibit included 108 outstanding antique and modern paperweights and traveled to four American museums. 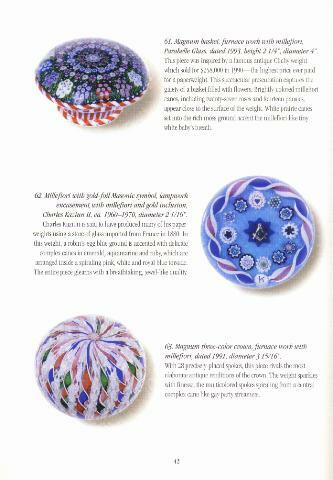 The catalog includes color illustrations and descriptive text for all 108 paperweights, plus two informative essays and brief biographical entries for the paperweight makers and factories. A price guide is included. 84 pages with 108 color photographs. Soft bound. 8 1/2" by 11". 1993.